Similar to building houses, there are many ways to build websites. 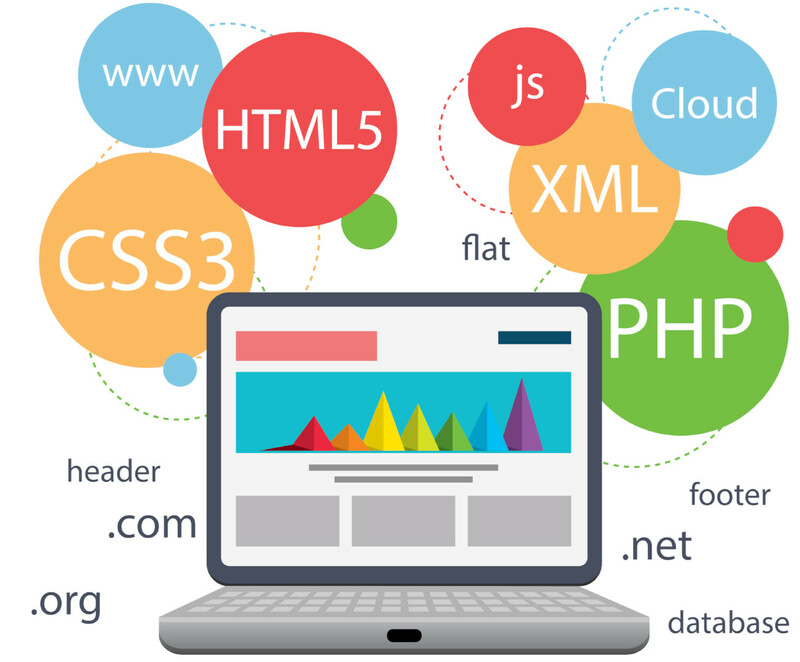 Coding, content management, and database management are just some of the more common considerations to be taken when designing and developing websites. Content management systems (CMS) and frameworks power between a third and half of all websites found on the internet. Their popularity is due to ease of use and the mostly open-source licenses. CMS’, in particular, have revolutionised desktop publishing and provided laypeople with limited technological understanding with the ability to publish and manage content online. The most popular CMS (and web building technology) in the world is WordPress, with an incredible 28% share of the market. Other notable CMS’ and frameworks are Joomla, Drupal, Magento, Node.js and Ruby on Rails. Programming languages are syntaxes which allow us to provide computers and software with instructions and commands. In a way, this is how we ‘speak’ to computers. There are several hundred programming languages in existence, but only about two dozen are used regularly. Experienced coders are usually comfortable working in several different types of programming languages. The most popular programming language is Java, followed closely by PHP. Libraries are large collections of pre-written snippets of codes designed to perform routine functionalities. Without libraries, coders will have to spend months writing and testing repetitive codes for every website. The two most well-known libraries are jQuery and Underscore. Databases are virtual filing cabinets that store all the data on websites. They are designed for easy retrieval, accuracy and space-management. Without databases, it would take hours to make even the simplest queries on high-traffic websites. Some of the more popular database technologies are Oracle, MySQL and MongoDB. Let us know which technologies you prefer to use or are comfortable with, and our specialists will do the rest.